Plumbing is one such sector, where usually the person in authority of the problem area looks frantically for the right person and also tries to get the best for the problem-solving. But getting a good plumber is not that easy instantly if you do not have any homework done about it beforehand. Just like you keep important contact numbers handy in case you meet a health emergency, security emergency, or something similar, you also need to keep the phone number of a good plumbing service of your area handy too. It’s very important so that when you are in a hurry, and also in tension due to a plumbing problem, then you do not fumble through lots of contact numbers, cards, and business listings, and call every number in a confused state of mind. Rather, you must have the homework done that which plumber you would be calling in case of a simple problem, and also in a case of worrisome emergency. And then you can always act instantly on the detection of a crisis so that you don’t waste time and do not stay in mental tension. There are smart ways to filter down to a good plumbing service in your area. And you should learn about it, or stay prepared beforehand. Never wait for the eleventh hour to find a professional. Rather have the contact handy of a good plumbing agency who can send one or the other efficient plumber to you, at any time, and whenever you need. It’s very important that you find a locally based service. A local plumbing company is always the best place to contact for any such job. Locals will be able to come to your place instantly. If you need immediate help, then you can get the local plumber instantly on call. It would take just a few minutes to get a person attending the call. So in case of an emergency, you may bypass the emergency service charges, and may still get a plumber to visit you the fastest when the source is local. Moreover, if you are not satisfied with the work, and need recurring services on the same work again and again, then also you will be sure to get the plumber on call every time on time. That is the advantage of getting a local professional to work for you. It’s a great idea to get plumbing service from an agency instead of an individual. This basically frees you from the obligation to get support from one person only. In case you are taking service from a particular professional, and that person is not available for service when you need service the most, then you will be ina problem. You will then have to look for an alternative fix. And this may consume time while worsening the problem and the related damages more for you. The way out simply is to get an agency of plumbers, who have a lot of professionals under their banner to send to you as and when required. If one of their plumbers is on call, then they can send another to you. And this should be the perfect model that works for you. That’s because in a locality there are so many houses, offices, and industrial buildings, which all may need plumber services for minor and major works from time to time. Feedback is an important thing. If you think that you would employ or appoint a plumber based on their rating or feedback from the local neighborhood, then also it’s a wise call to get associated with a local plumbing agency like the GM Plumbing Long Beach. In that case, you can get the feedback about the work of a plumber from another person in the neighborhood, or from a person in the locality which generally takes services from the plumbing agency. The more distance there would be between the plumbing agency and point of service; the more would be the applicable conveyance rates. This conveyance charge can be kept ina limit and a small value if you are a local plumber from a local plumbing agency. In case you are ordering service from a faraway place, the plumber definitely would ask you for higher conveyance charges as applicable, and you are then bound to pay that in the invoice. 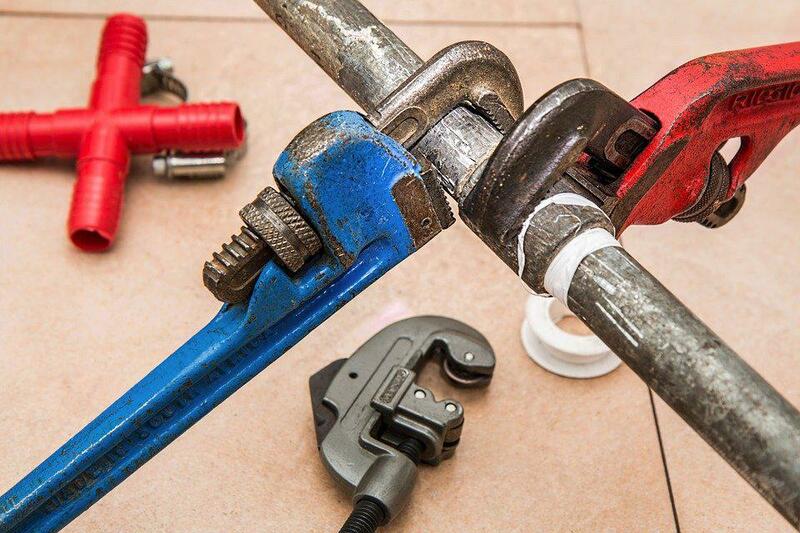 This will ensure that your plumber is a master in this field, and can handle problems of all types, and projects of any size, without you having to worry about things. If you have a plumber who is experienced in both residential and commercial plumbing, then you can be sure that the professional is the right hand to handle yours too without any uncertainty. There is plumbing service for general service, and then there are services with emergency services only. And also there are plumbing agencies which offers plumbers for both emergencies and normal projects, but the rates of all the plumbing projects must be fixed and specified. There must be rates applicable to specific types of work based on urgency type, and this will help the consumers also get an idea of what to expect from the service or get a prior project estimate. You can always get a better plumbing experience when you get the right professionals from the right place. Try to find a service, who have a website that presents details about them. Not all services are specialized for commercial and residential work both. But the website would tell you what they are specialized at. You will not have to call and ask, and rather you may get all the details about the service from the website data.